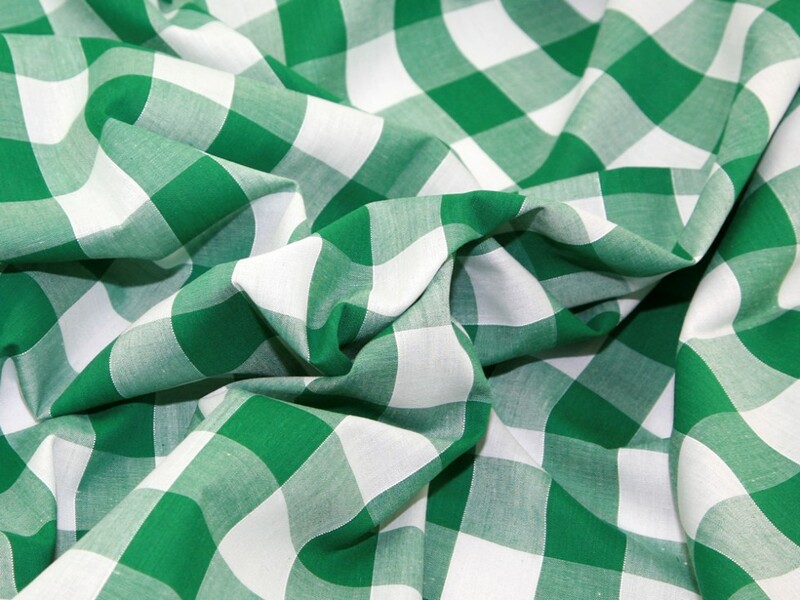 Our beautiful quality Gingham Check Fabric is used widely for summer wear (shirts, tops, dresses), baby and childrens wear, tablecloths, aprons, cushions, craft, costume and much more! It is a non stretch corded gingham which is the best quality in its price range. At 45inch wide it is great value for money and available in a wide range of colours and check sizes! I love this gingham fabric! Because the checks are so big, it makes it look more 'modern' than the smaller ones. Ive made a shirt n the black and white and I love it!